What kind of Maryland auto insurance customer are you? a. The person who has it because auto insurance is a requirement. b. The person who looks for the best rate possible before asking about coverages. c. The person looking for an agent with the customers best interest in mind. No matter what kind of customer you are, there will be a point in time when you call your insurance agent with questions about your policy. Sometimes these questions come when it is too late. For instance, when you get into a major accident and you see what your policy covers. The fact of the matter is, it is too late to ask these questions about your policy once an accident has already occurred. I get it, an auto policy can be complex. There are so many coverage options and additions that it can be hard to know what to ask before you purchase a policy. Luckily I know what to ask since I am both an agent and a policy holder myself. 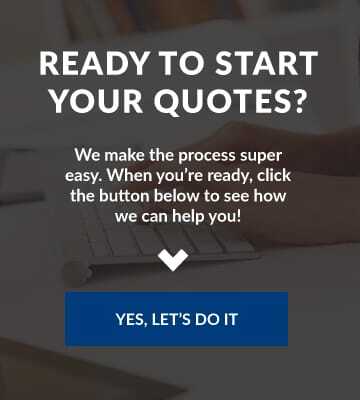 I am going to give you both commonly asked auto insurance questions,and questions I think everyone should ask an agent before they decide to write a policy. 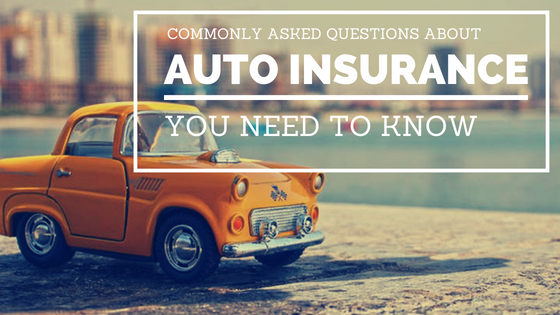 Lets dive into the commonly asked auto insurance questions together! Before we get started, I am sure you noticed we have over 10 insurance carriers we can write policies with. Each company has different plans, coverages, add ons, ect. What may be included with one company may be an additional cost to add with another. Thus stressing the importance of knowing what you are buying! Why did my rate go up at my renewal even though I have not been in an accident? Many factors go into rate increases beyond just your driving history. Companies have to also look at where you live, your annual miles, and the amount of accidents that took place in your area during that policy period. If your area faces a high percentage of accidents and you use your vehicle for work that means you are at higher risk of being in an accident. Unfortunately, EVERYONE faces rate increases depending on every single driver on the road. One of the biggest factors we face now is the cost it takes to replace newer cars and their parts. Many vehicles have cameras and sensors in the bumpers that raise the cost to repair that part. If the cost goes up for the insurance company to repair the vehicles they insure, the customers will see an increase as well. Click here that go a little deeper into the national rate increases and why we are seeing them every year. Pro tip: You will see less of an increase if you have a been with a carrier long term and by keeping your ticket and accident history clean. Does my policy include rental car coverage? Rental car coverage is commonly a coverage you add to your policy. One thing to note as well is that even though rental car coverage is on one car in the policy it does not mean it is on every car in the policy. Example: Say you have both a Nissan and a Chevy on your policy. When you purchased your policy you added rental car coverage to the Nissan. 4 months later you are driving the Chevy down the road and get into an accident. You call up your agent to get reimbursed for the rental car you needed while your car was being repaired. Unfortunately, in this instance a rental car would not be covered under your policy because it was the Chevy that was in the accident and not the Nissan. One big misconception about rental car coverage: it is only applicable in the case of an accident in replacement of the car that needs to be repaired. It can not be used at any time, like to rent a car for a road trip. Does my insurance cover a rental car at any time? Yes, your policy does cover you if you are driving a rental car. Rental car companies offer two options to customers. A customer can either purchase their insurance for the days they are using the rental car or they can use their current policy. What should my auto insurance deductible be? The deductibles on your policy are really up to the customer! We commonly see people have a $250 deductible for comprehisive and $500 for collision. These deductibles are what you would pay before your insurance company would pay out to the damage to your vehicle. Liability limits are what an insurance company would pay out for the other party if you are found at fault. The reason why they call them limits is because the limits you decide on is the most the insurance company will pay out per accident. Bodily injury- this sections limit is what the insurance company will pay for injuries sustained PER PERSON. Per occurrence- this section’s limit is what will be paid out TOTAL per accident. Property damage- total that will be paid out for any damage caused by your vehicle to another. Johnny is riding down the road a few weeks later and is not paying attention while he is driving. He runs right into the back of a brand new BMW. This accident results in the driver being transported to the hospital, his BMW totaled, and one scared Johnny! Now you tell me if you think this accident only cost 60,000 on Johnny’s end…. probably not! This means Johnny has to pay out of pocket for any other expenses incurred during this accident. This happens often! It is crucial to have limits that cover both you, and the other drivers on the road because we are human and make mistakes! Pro tip: Ask yourself if you can afford to repair a 70,000 car if you had to. If no, make sure your liability limits are at least 100/300/100. Fortunately the insurance follows the car and not the driver. Your vehicle is covered as long as you give that person permission to drive your car. One thing to note is that your insurance company will be the one to pay out and surcharge you if the driver causes an accident. So we always advise customers to be careful who you allow to drive your car. Is hitting a deer considered comprehensive or collision? This is a great question to get clarity on this since you can decide which of these (or both) that you have in your policy. Our area is highly populated with deer and let me just say, we get a call about hitting a deer on a weekly basis so it is not new to us! Hitting a deer is actually considered comprehensive even though most would guess it was collision. Pro tip: If you live in an area where deer are common, confirm that your policy has comprehensive. Does my child who moved back into my home have to be added to my policy even though they have their own policy? We advise customers that every person who lives in the household needs to be on the policy even if they have their own policy. The reason for this is because they are now seen as a risk to the other vehicles. Depending on the company, you can either just list them as a driver in the household or you may need to rate them on the policy as a regular driver. What if their car broke down and they needed to use yours? That is why they need to be added as a driver to your policy. Pro tip: Transfer your child to your policy if they are looking to stay in your home semi-long term. You all will benefit from a multi-car discount and your mind will be at ease knowing everyone is covered even if they drive someone else’s car in the household. This probably got your questions brewing about your current policy! Comment below with any questions you have that were not answered above. Now that you have further knowledge about auto insurance and what it includes, take what you know and review your policies. Ask us if you are still unsure about some other questions you have! 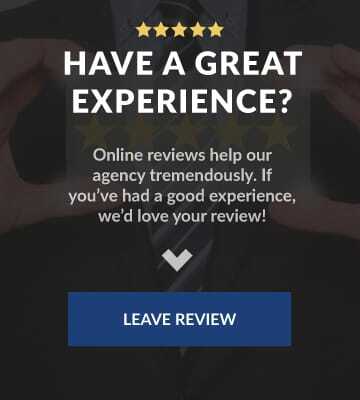 Our staff is always ready to sit down with a customer and do a full review of their policy. It is important to us that our customers know what they are getting when the get auto insurance. Please call us today to set your appointment!